Can The Police Pull You Over For a Pine Tree Air Freshener? One of the concerns that you should have with the equipment on your vehicle when you’re driving anywhere, is whether or not it could be a source for the police to pull you over. The majority of people are not doing anything illegal on most days; however sometimes you might have a little too much to drink and not even realize it. Or maybe your license is suspended and you didn’t get a notice that you forgot to pay your insurance bill or something. There are many things that could go wrong that you wouldn’t even really know about. You should be careful to make sure that you don’t give the police an excuse to pull you over. It’s a legal, legitimate excuse for the police to pull you over and the courts have upheld that the police can stop you solely for having an air freshener dangling from your rear view mirror. 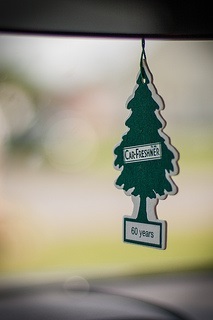 There’s a recent court of appeals case in Virginia where the court examined the exact issue about whether or not a pine tree air freshener just a few inches tall is enough for the police to pull you over. The key analysis is whether or not the pine tree could have obstructed the driver’s view. The court found that it could. Virginia law prohibits you from having anything on your windows, your windshield that obstructs the view of the driver. In order for the police to pull you over all they need is a reasonable, articulable suspension that criminal activity may be afoot, or that you may be breaking a traffic law. They don’t have to prove for sure that you are indeed breaking a traffic law. They just have to have something they can point to as a reason to pull you over to investigate if there is a possible violation. That is the problem with the air freshener. It may actually be okay, and most officers probably would not stop you and write you a ticket solely for a dangling object. If an officer is suspecting you of DUI or having a suspended license and is looking for a legitimate reason to stop you, an air freshener gives them that reason. I’m not encouraging anyone to break the law. It is, however, important to know your rights and protect yourself. Don’t invite the police to stop you while you’re driving down the road.